The firsy photos shows barge, Susan Brent arriving at Thames Lock. 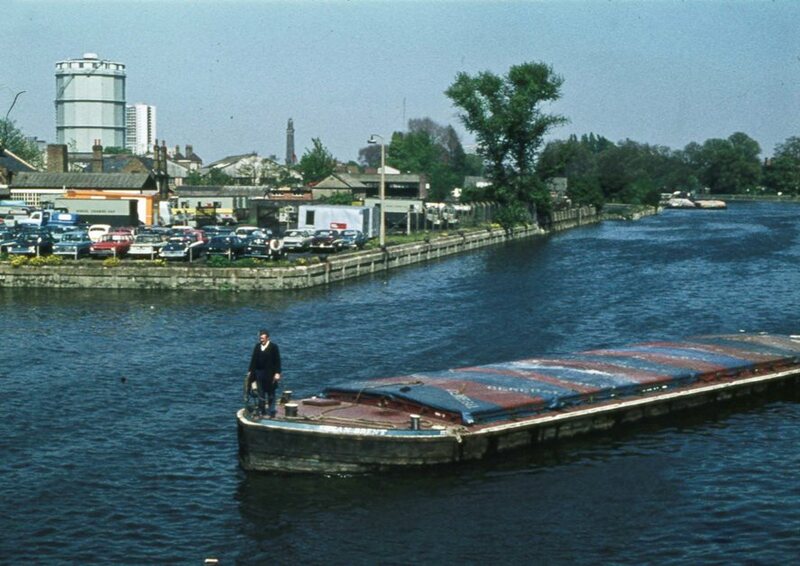 The Thames barges would arrive at Lock 100 and then tie up by one of the wharves within the dock. The lockkeepers were very busy – and someone will probably be able to recognise them. 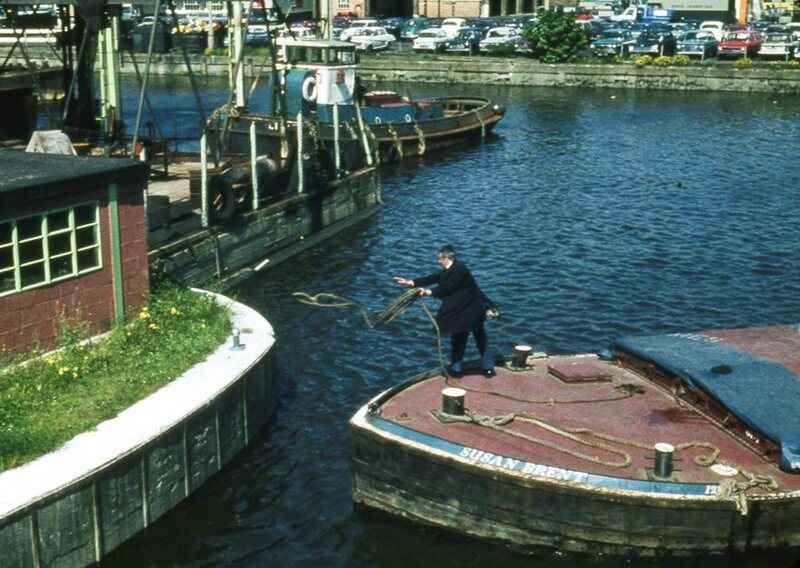 Some goods were transferred to canal boats. 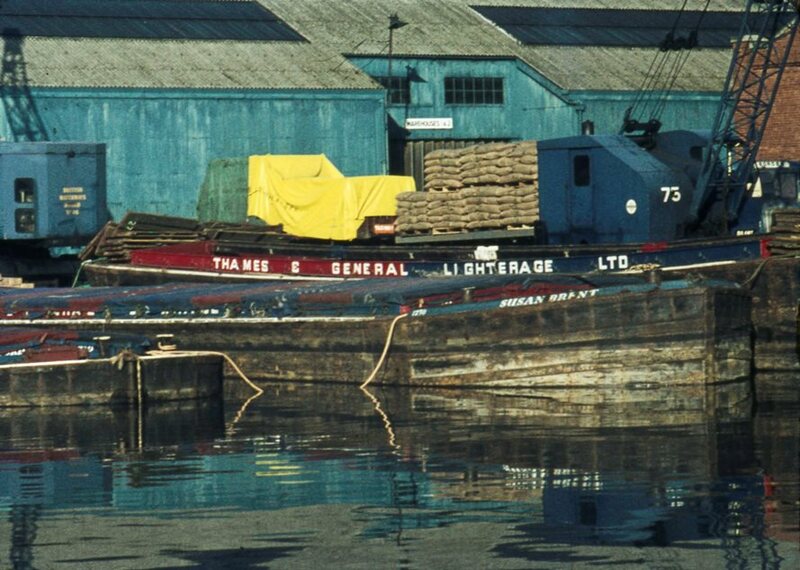 The third photo shows a Thames & General Lighterage barge moored alongside the Susan Brent at Brentford Dock outside Warehouses 1 & 2. One of the cranes has British Waterways signage. There were also pleasure boats on the canal at that time.